The Bedroom is the most important part of your house. Our busy lifestyle almost makes it mandatory that we get a great night’s sleep, everyday of the week. The bedroom is one zen-like retreat we all like and want to keep it that way. As this room is significant in our adobe, cleaning and de-cluttering it is an integral part of our daily routine. Here are the nine things that you need to keep out of your bedroom to make sure you get full rest and relaxation. Bright colors are definitely attractive, however, they also are activators and sleep killers. Avoid colors such as orange, red and yellow as they represent the energy of fire. In a place that you would like to retire after a hard day’s work, colors such as light blue, subtle green or earthy tones are a better option. Smartphones, tablets, TVs and laptops are all blue-light emitting devices that disrupt the natural sleep-wake cycle. Scientists recommend avoiding screens at least 2-3 hours before hitting the pillow. So, let’s try to make our bedrooms a no-electronics zone. A warm bedroom on winter nights is hard to beat, but every winter we hear terrifying stories of families losing their homes or even lives due to a fire caused by space heaters. If you want to keep one in your bedroom, turn it off before you go to sleep or better still, invest in a good warm bedding set to keep your haven safe. Yes, it is true! Pets, as adorable as they are, should be cuddled on the couch and not in the bedroom. According to studies, 15% of people are allergic to dog/cat fur and fleas while not even realizing it. 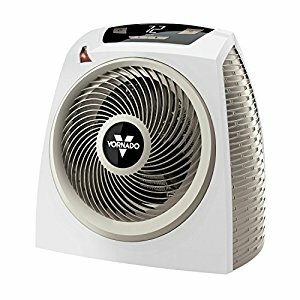 I understand people are sensitive when it comes to their pets thus if evicting them out is not what you like, you can install an air purifier to soften the damage. Sunlight is perfect to wake up to in the morning, but can mess up with you sleep if it comes in before the alarm ticks off. Less sleep due to light from the street lights or nearby homes can upset your daily rhythm and affect your health. To keep excessive light out of your bedroom, opt for blackout curtains. Further, switch from high wattage bulbs to dimmer one to emphasize the calm milieu on your bedroom. Bedroom is for non-stressful activities like sleep, relaxation and personal time. In order to ensure a better work-life balance, keep the desk out of your room. A desk with laptops, work papers etc. gives a sense of unfinished tasks and visually pollutes the place. Your mind will constantly think about work-related activities and you will not be able to sleep in peace. A desk weakens your brain’s association with bedroom and sleep. Mirrors top the list of Feng Shui warnings with regards to the place where we rest. According to Feng Shui, mirrors reflect Chi energy that travels to and from your body and the mirror at night. A bed facing the mirror directly reduces your personal energy during the night when your body does the repair work. If you want a mirror in your bedroom, you can hang it inside the closet and shut the closet doors at night. 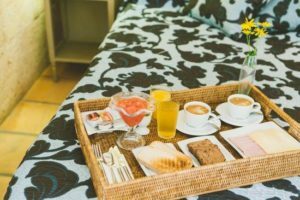 I know nothing is more romantic than sharing a breakfast meal in bed with your beloved, yet food and beverages on the bed invite unwanted pests crumbs. Besides, food or beverage spills can damage the bedding with a permanent stain or foul odor. For sanitation reasons, it is advisable to leave food and drinks for the dining table and a hygienic sleep for the bedroom. It is not bad to have a taste for snarky art, nonetheless try to limit it only in the living room. A bedroom is a place for gentle and positive vibes. This is your space to ease out and be happy as you start or end your day. Make it joyful and constructive! 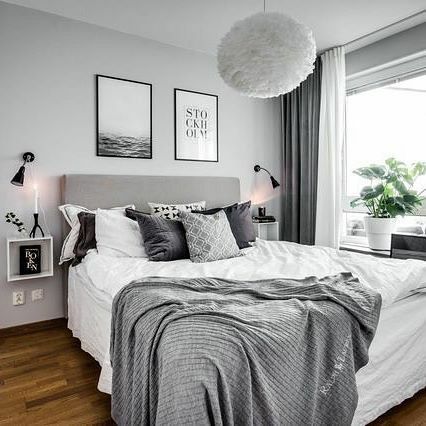 While there are certain things to keep out of the room, the following is a list of things that you should keep in your bedroom for better relaxation. By following these tips and recommendations, you will surely improve your personal space. You will observe the outcome and notice a change in your work, mood and relationship every day.